Want to be more creative today? 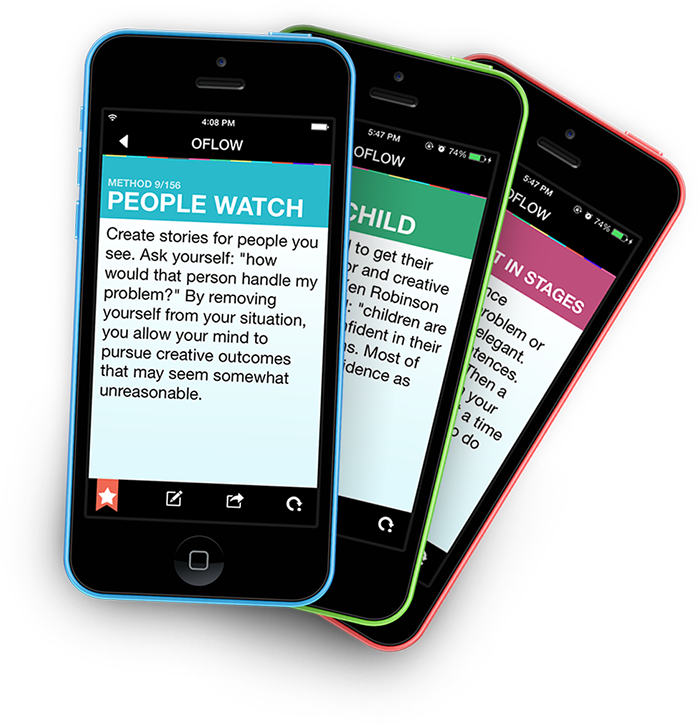 Get proven creativity tips on your iPhone or iPad with Oflow. This app is beautiful and fun to use, no matter where your creative passion rests. If you’re ever feeling creatively “stuck” then you just open Oflow up on your phone or iPad and instantly get access to more than 120 techniques for getting back into the creative flow. It works. Right now Oflow is rated #2 as the most creative Lifestyle app on the iPad, and you’re going to want to see why. If you haven’t downloaded the app yet, you can get it right from the iTunes App Store here. Disclaimer: I am the creator of Oflow. But I created it to solve a need, and based on customer reviews it does that really well. So I’m sharing it with you today.